I must say, the birthday parties are getting much easier to plan as the kids get older, but I do miss those over-the-top theme parties from days gone by. This entry is going to give some rough guidelines for birthday party planning, but I won’t get into specific themes today. We have done several different theme parties over the years, that I will probably post about in the future. 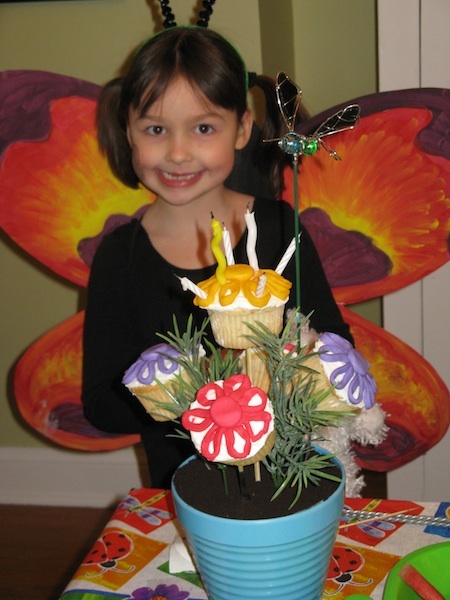 The girls themes we have done for my daughter include: butterfly, snowman, princess, spring, Hawaiian, sleepover and disco. 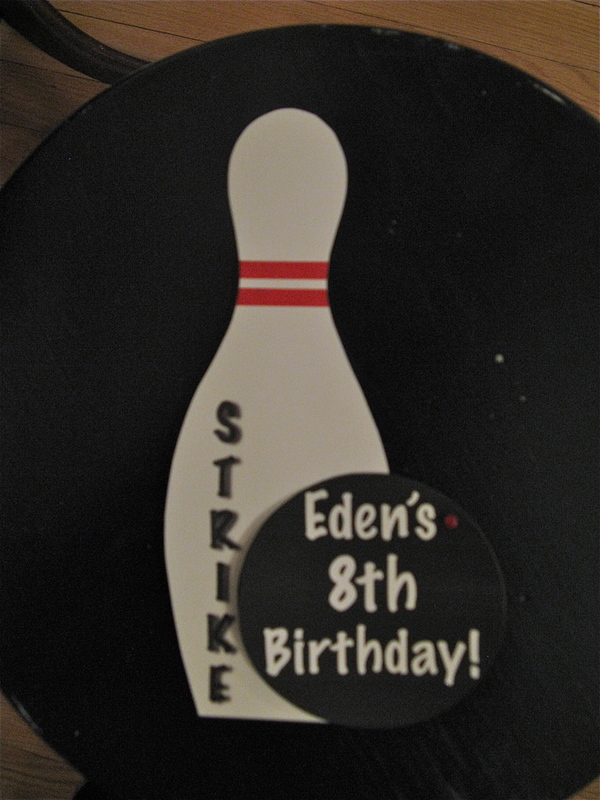 The boys themes we’ve done have included: bowling, Star Wars, pirate, Winnipeg Jets, train and jungle. We have done a few less home theme parties for my son as I generally find it easier to take boys out and do a physical activity of some kind. I won’t post the themes in any particular order, but if you are planning a party and would like me to post on a particular theme, please leave a comment. I have to give a bit of a disclaimer here….when my kids were small, I often felt creatively stifled being a full-time teacher, wife and mother of two little ones. I found that there was rarely time or energy left to get my creative juices flowing. For me, scrapbooking, card making, crafting or doing home projects seems to be very therapeutic and I really missed having them as an avenue to release my creativity. So, when life was too demanding to culture this area of my life, I found that birthday party planning provided that outlet. I didn’t have much time as I was working out of the home full-time, so plans for a theme party would often begin at least two months in advance. Some of the more elaborate parties took many hours to plan and prepare for, but for me it was all about the process and the details. I rarely spent much money on the party itself, as I pretty much made everything that was needed. Invitations – the invitations are a great way to set the stage for your party theme. I am a scrapbooker and pretty handy on the computer, so making invitations is quite easy for me, but that’s not to say I sometimes don’t spend hours labouring over the details of the “perfect” party invitation. I would also look for cool and unique invitation ideas ~ we’ve done everything from DVD’s to e-cards to a message in a bottle. Your invitations should include date, location, drop-off and pick-up times, and RSVP information. Also, be sure to include information such as: what to bring or wear to the party and mention if lunch or dinner will be served. The invitations should be sent out 2 to 3 weeks prior to the party. 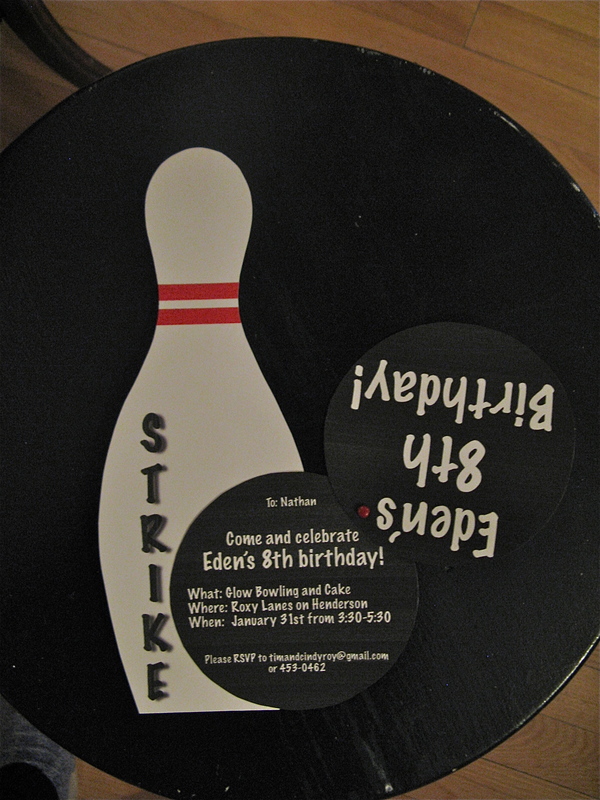 Here is a Bowling Party invitation ~ closed. Bowling ball slides open on a brad to reveal the details. Decorations ~ again, I have some staples that I think about for every party ~ homemade birthday banner, center piece, table-cloth, plates and napkins and other accessories to build your theme. I also consider music when thinking about setting the stage for the party. Is there a particular type of music that fits well with the theme for background music and games? Here is an example of a birthday banner from my daughter’s disco party. I have access to an overhead projector, so I just found the images online and then made a transparency. I then enlarged the images on black paper and cut them out to create a silhouette effect. The banners are usually quite big ~ about 6 feet by 3 feet. I always try to copy a font that suits the theme (if applicable). Pin the Tail on the Donkey ~ Pin the Patch on the Pirate, Pin the Spot on the Ladybug, etc. Hot Potato ~ Pass the Canon, Pass the Asteroid, etc. Pass the Present ~ I got this idea from my friend Michelle. Basically, you wrap a little gift/surprise item in a box. You then proceed to add layers of wrapping paper on the outside equal to the number of kids, so that each child will get a turn to unwrap the present. You pass the present around the circle to music and when the music stops, the person holding the present gets to unwrap a layer. The person to unwrap the final layer gets to keep the prize inside. The kids love this! Musical Chairs ~ We’ve done musical pillows, beach towels, etc. In addition to the above, I am usually able to either find or invent a game, activity or craft that is specific to the party theme. One of the keys to a successful party is to keep the kids busy and do not spend too much time on one activity. It is all about pacing. 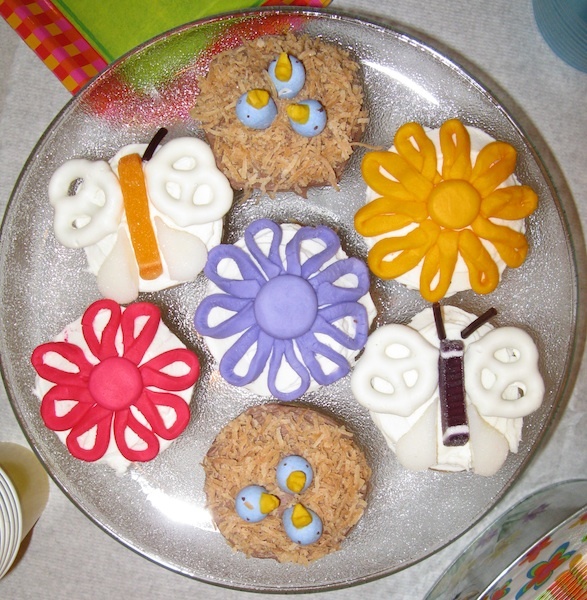 Food and Snacks ~ As a rule of thumb, I generally do not serve a meal for a basic home based theme party. I try to serve a variety of healthy snacks as well as a few of my kids favourite munchies. I find that when you have lots planned, there really is very little time to eat or even munch. When possible, I do try to include some theme based food or snack items such as the “Yoda Soda” we served at my son’s Star Wars party. Birthday Cake ~ I love baking a cake or cupcakes from scratch and then decorating them to match our theme. I have never taken a cake decorating course, so my cakes are far from perfect, but I have lots of fun looking at different theme cakes online and then coming up with my own variations. Obviously, some turn out better than others. We almost always serve ice cream with our cake. Loot Bags ~ I must admit, I am not a big fan of loot bags. I find that most loot bags are either full of junk food or little dollar store odds and ends that we don’t need. I am not saying that I never buy anything at the dollar store, because as a teacher, I can go in and spend $50 in a heart beat. However, when planning the loot bags, I often opt to put fewer items in the bag and give one or two more substantial items that fit with the theme or are at least usable items. That is not to say that I never add treats or dollar store items. In fact, for my son’s last birthday, he said to me, “Mom, you just don’t get it…all a 9 year old boy really wants in their loot bag is candy!” I threw my arms in the air, took him to the dollar store and said “Go to town.” For the first time ever, he picked-out all his favourite candies and we handed-out a bag of junk food. Yuck! So not my style, but man was it easy. I generally keep home parties to 2 hours. We usually begin with an independent activity such as colouring or something that does not require much instruction. The purpose of this is just to keep the kids busy until everyone arrives. As soon as all of the guests arrive, we generally do a craft or sitting activity of some kind, followed by our more active games. I usually plan on getting started a bit late due to late arrivals. We then spend about 15 minutes for the craft (depending on age and interest), 30 to 45 minutes for the games and activities and then the last 45 minutes for cake, ice cream and gifts. It is jam-packed, but much easier to keep the kids on task if it is fast paced. As the kids get older, there is much less planning and they are often able to manage their own activities/entertainment. My daughter is now 11 and for the past two birthdays, she has really planned her own party and decided what she and her friends would do. Again, if you are planning a party for one of the themes mentioned above, leave me a comment and request a theme as I will be posting in no particular order.